For the 10th year in a row, printing and imaging provider Canon has earned a BenchmarkPortal Center of Excellence Certification for its customer service efforts. The certification is awarded after a selective process and is only given to call centers that rank among the top 10 percent of companies that BenchmarkPortal, a research firm offering benchmarking, certification, training and consulting tools, evaluates. BenchmarkPortal uses a proprietary scorecard of metrics to assess the efficiency and effectiveness of companies' call center and customer service strategies. It measures a combination of factors and key performance indicators, such as customer satisfaction ratings, cost, and other quality evaluations that customers complete after interacting with those companies. With regard to Canon, BenchmarkPortal scored the company highly thanks largely to its Customer Solutions Center, which Canon introduced more than a year ago to "evolve with the industry's changing needs and seamlessly provide innovative, end-to-end service solutions," said Leroy Farrell, vice president and general manager of the business imaging solutions group within the engineering services and solutions team at Canon, in a company statement. The Customer Solutions Center brings together experts on hardware, software, engineering, and field management into a single collaborative environment, where they can work together to deliver support to customers over the phone, via WebEx interactions, and through chat. The Solutions Center houses every product model and supports every software version available to customers so that agents can replicate problems and offer solutions. Plus, service representatives based at the Solutions Center also provide live support to field agents servicing hardware locally, so that they have access to a wealth of Canon resources even when they're on location. "To us, this certification signifies that the center is doing its job, and doing it well for our channel partners and customers," Farrell said. According to BenchmarkPortal, it's relatively uncommon for a company to maintain the Excellence Certification for more than a decade, as Canon has. "This certification signifies Canon's leadership and commitment to balancing cost-effective service solutions with best-in-class service performance," Bruce Belfiore, CEO of BenchmarkPortal, said in a statement. "To maintain superior performance for 10 years straight is, indeed, an exceptional accomplishment." iBenchmark enhances CXone with benchmark data for contact center operations. 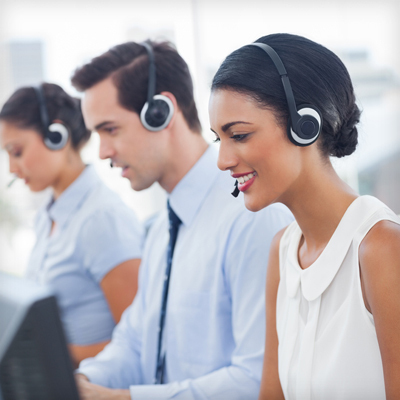 Contact center automation will pave the way for several new types of agents.